We are successfully running our research laboratory in Raipur (C.G.). From all over the country students interested in working in any aspect of cave science are joining us to complete their master/Ph.D. dissertation. 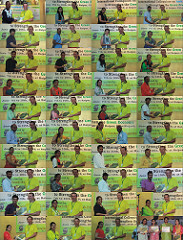 We are continuously publishing high-quality research articles in reputed national/ international journals. Besides, to promote cave related research work, we are publishing a journal Ambient Science to cover all the field related works. It is an ISI (Thomson Reuters) journal publishing in both the online and print format. To promote the Green Economy, we started to conduct International Colloquium from the year 2018. First international Colloquium was organized successfully at Raipur. A special volume of Ambient Science has also been released with selected papers appeared in the Colloquium. Our cultural heritage is tightly associated with the caves. Right from religious myths, pre-historic rock art to ancient sculpturing, caves provide the biggest evidence. But then also till date no proper law for cave protection has been framed in India. Stood shoulder to shoulder with Meghalayan environmentalists and save India's most precious cavern system, which became history against "Indian Land Grab phenomena"
Nat.Cave Res. & Prot. Org. 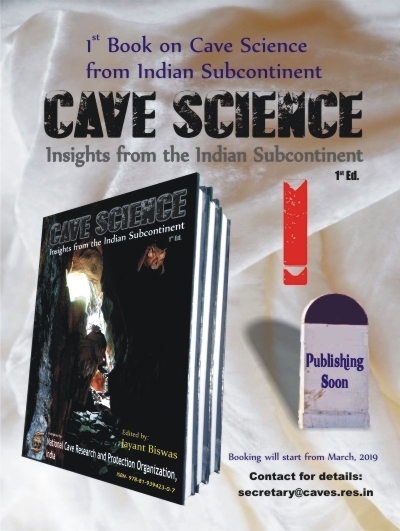 is the only institution in India, working dedicatedly in the field of cave science. We are having MOU with various national nad international Institute and keep open our door for proper collaboration work. We often organize cave expedition programs in collaboration with national/international cavers. Fellows interested in participation should keep in touch with their preferred time period. Whenever we get desirable participants and identify some new cave, we would try to arrange the program. Students wish to undertake cave study for their Ph.D. and M.Phil dissertation work can contact us. Respective supervisor will be provided to them on behalf of National Cave Research and Protection Organization for the same. We undertake various projects from Government and Corporate bodies for "Environmental Impact Assesment" study required to initiate any major projects. We often organize small caving camps under our adventurous sports activity of organization. Time to time the information(s) will be focused in our News section of this site. Essay (composition) and/or photography competition on school and college level will carried on under the programme of Mass Awareness on SAVE CAVES. Time to time the information(s) will be focused in our News section of this site.